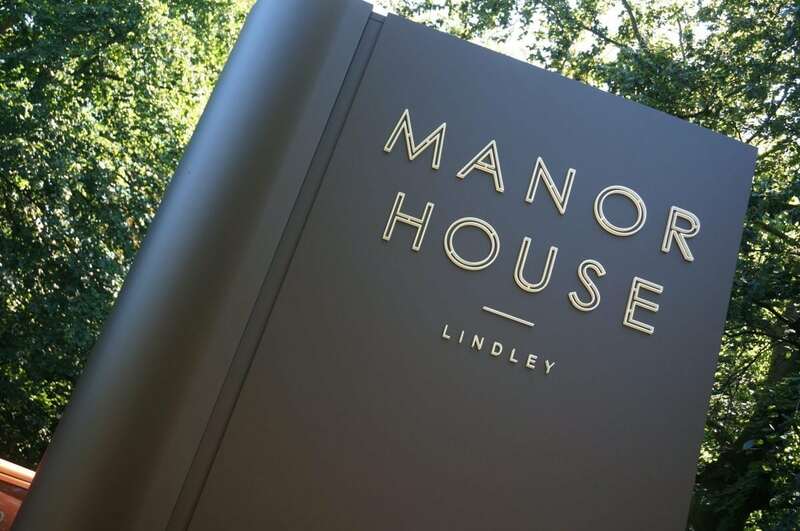 When the Grade II listed Manor House in Lindley, Huddersfield was being restored and refitted as a modern boutique hotel, we were approached to provide suitable internal and external signage that reflected the quality of the hotel and stayed true to the building’s historic roots. Our designs married both modern and traditional elements to achieve the desired results. 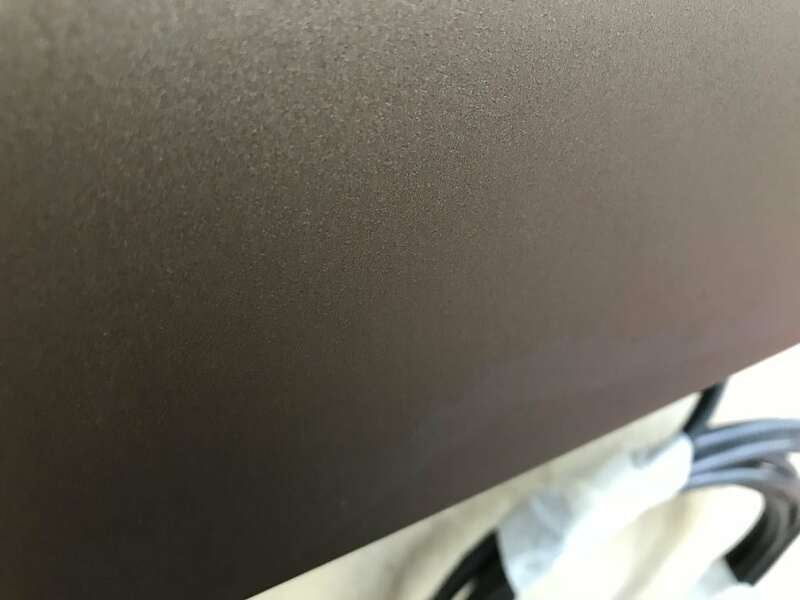 High tech LED lighting and bronze finish materials combined to produce a range of different sign styles that met the brief. 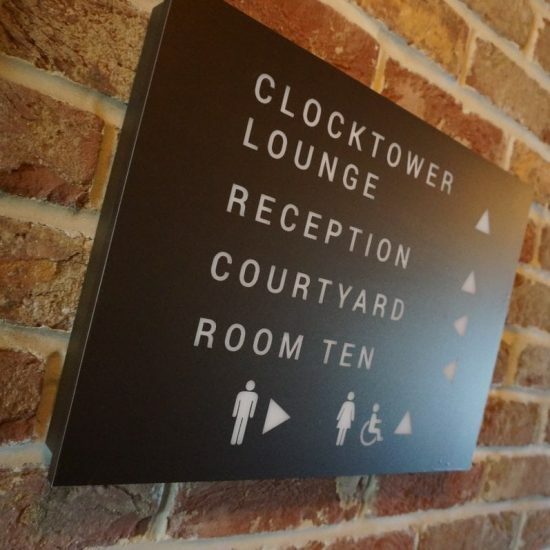 A total of 39 internal signs were required, including illuminated and non-illuminated wayfinding and door signs and illuminated room number signs. 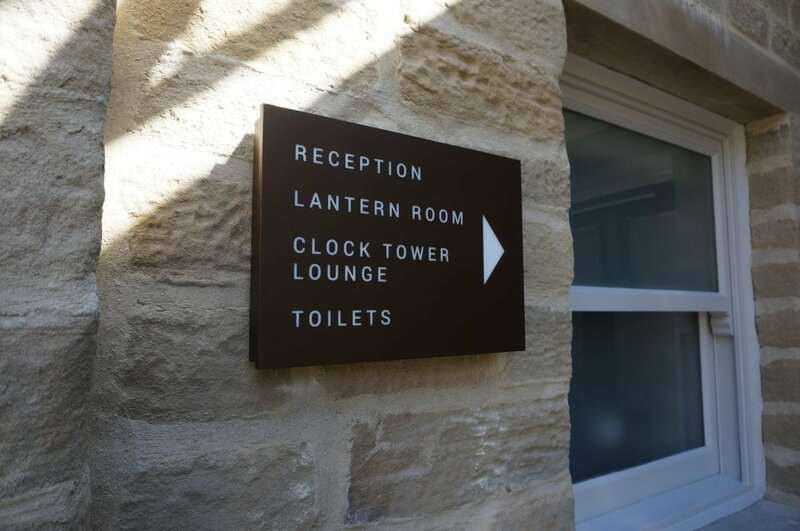 We chose bronze finish Dibond with white text and LED lighting where required for the wayfinding and door signs. 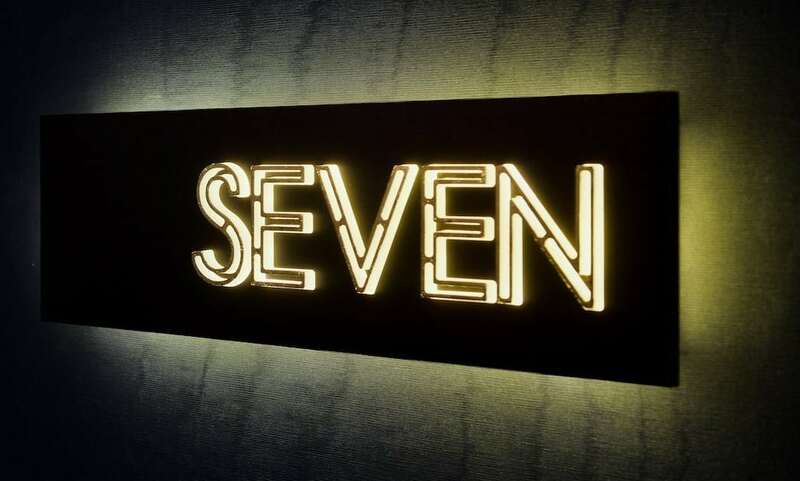 The room numbers comprised bronze Dibond and LED lit 3D letters with 24ct gold leaf finish. 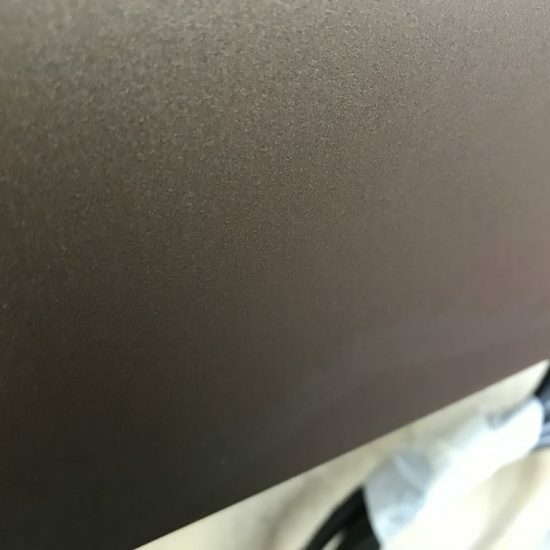 The bronze finish on the Dibond keeps things traditional. Lit by internally mounted LEDs. White lettering is clear and classy. 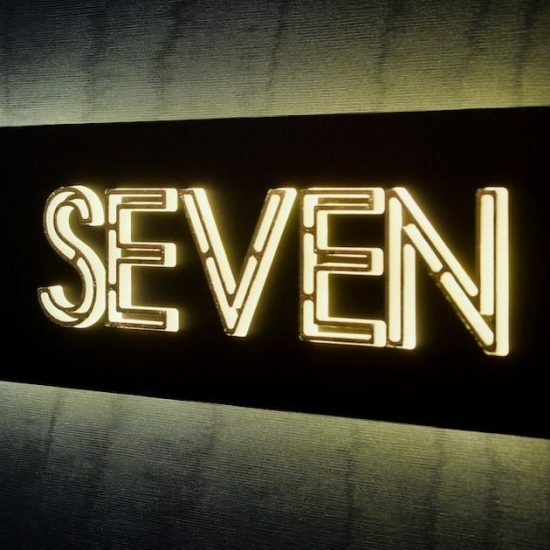 Room numbers feature high quality 3D lettering with 24ct gold finish and LED lit from the rear. 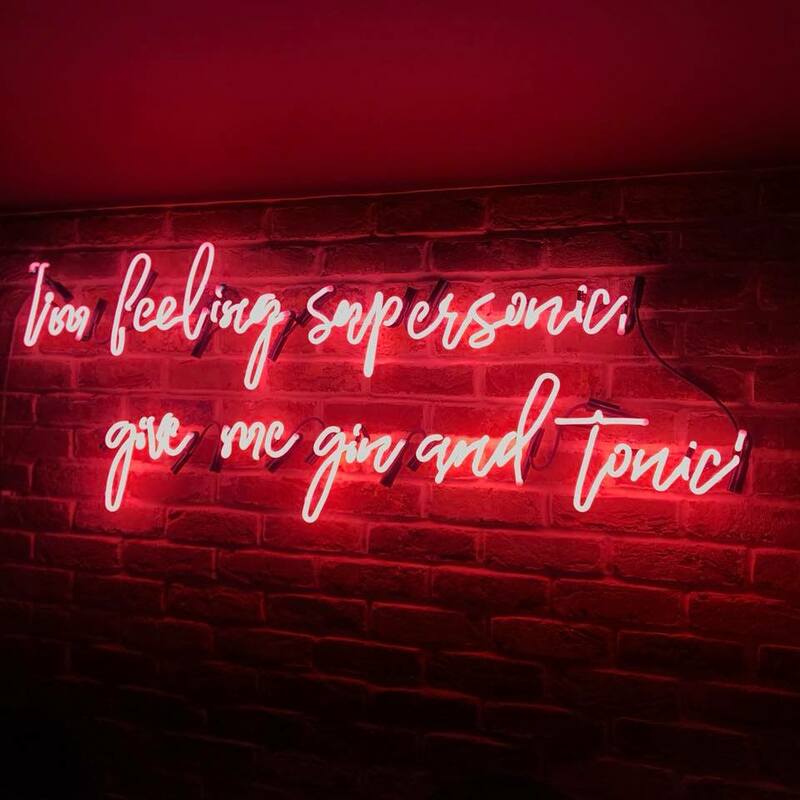 There was one sign completely out of spec though – this bright red neon sign installed in the hotel’s cellar bar, the Lindley Cellars! Nothing wrong with a splash of colour! 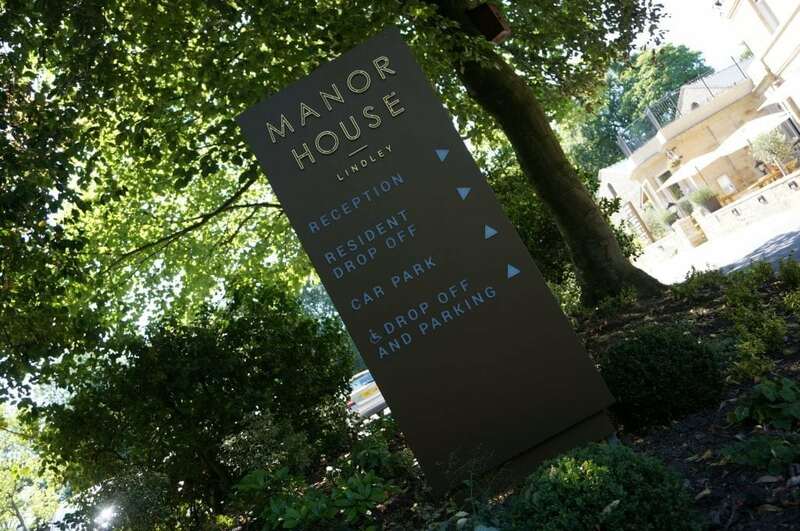 Externally the Manor House required a number of different sign styles, starting with the entrance sign. 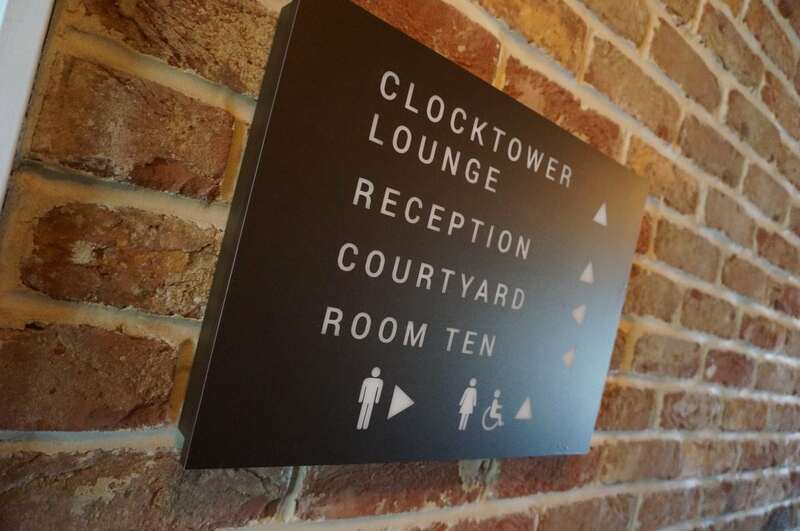 This comprised 3D lettering with the same 24ct gold leaf finish as the room numbers we produced for the interior. Mounted above the entrance doorway, the sign makes an immediate statement while remaining understated. Blending perfectly with the Georgian architecture. 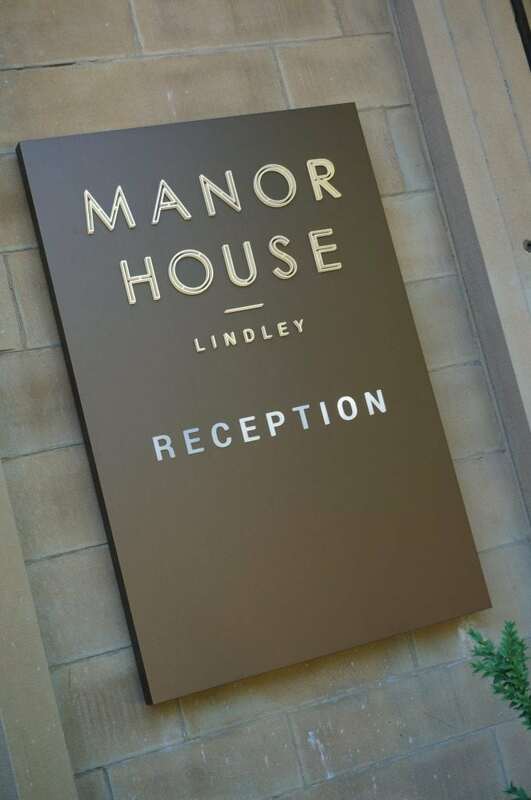 To the left of the entrance we installed a reception sign. 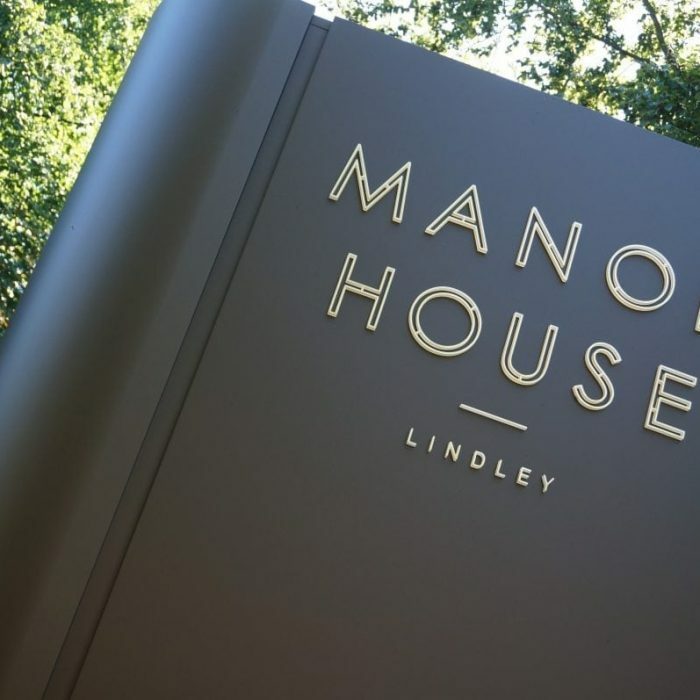 LED lit with more 3D, 24ct finished lettering alongside standard white, the sign makes good use of the bronze Dibond to create an attractive welcome to guests. A classy welcome to the Manor House. 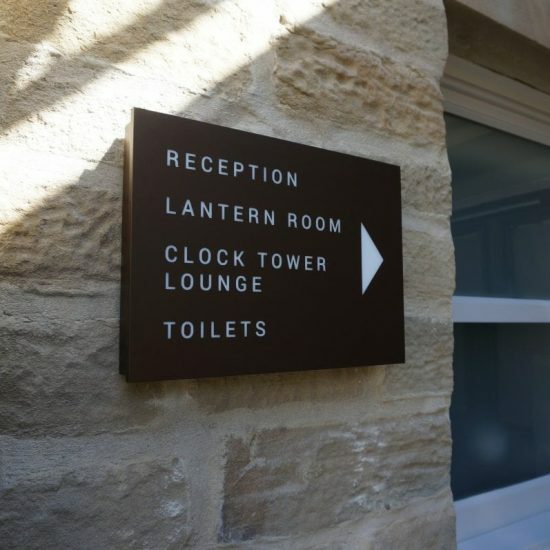 Elsewhere on site we installed several wayfinding signs for visitors, faithfully reproducing the white / gold on bronze colour scheme. Sits nicely in its environment and compliments the overall signage scheme. 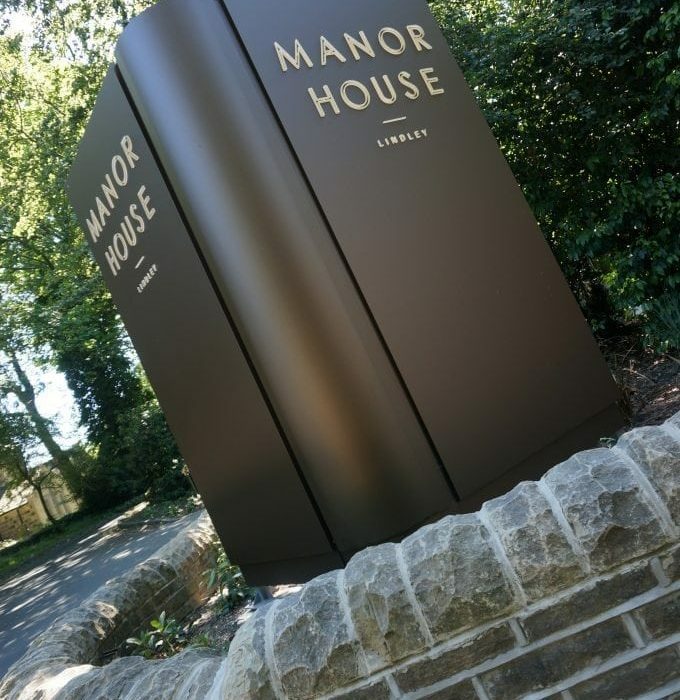 The real cherry on this particular signage cake is the bespoke V-shaped monolith sign installed at the gateway to the Manor House premises. 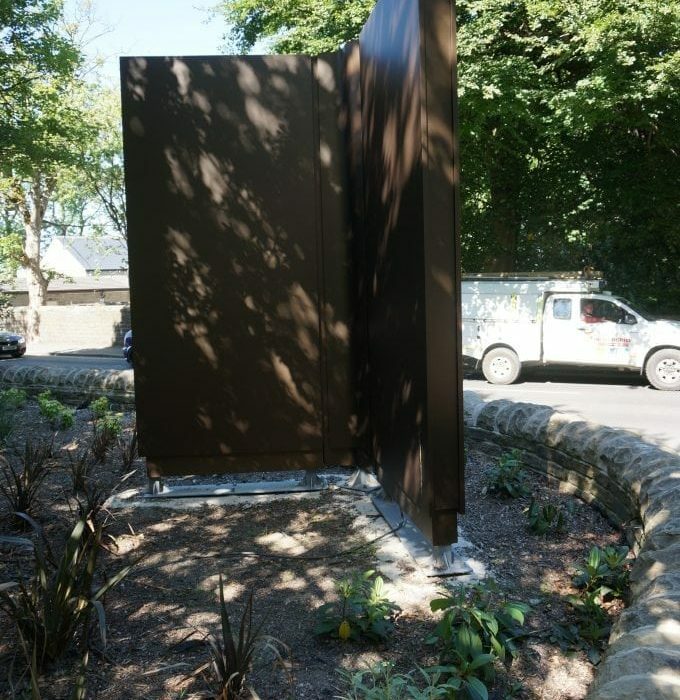 Fabricated from more folded bronze Dibond panels incorporating 3D acrylic lettering with halo LED lighting, the monolith is mounted onto a concrete base. 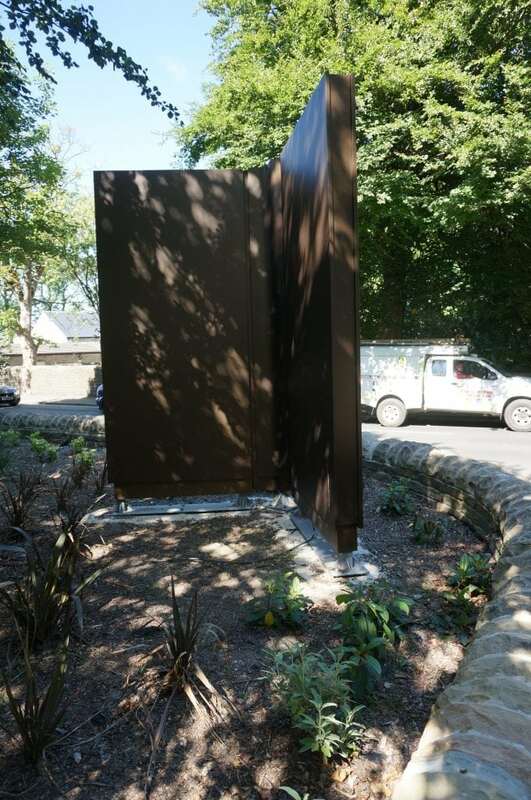 The concrete base will hold the monolith in place in all weathers. 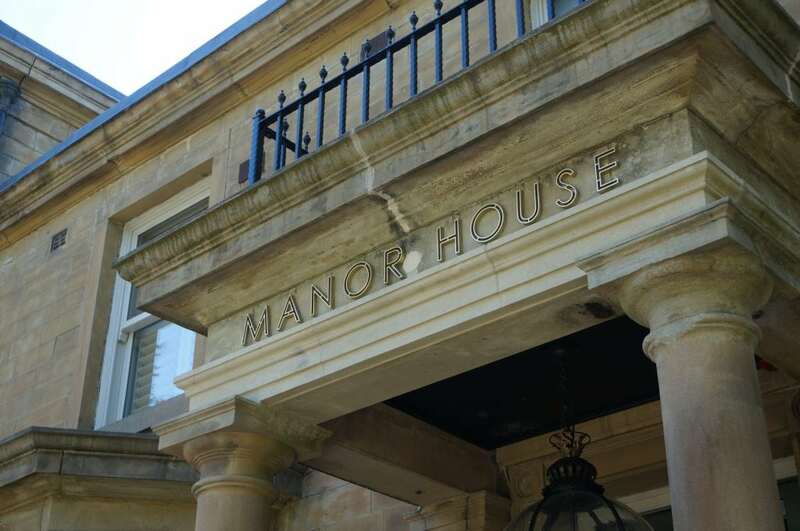 The V-shape around a folded Dibond central pillar ensures the Manor House is visible from either approach. 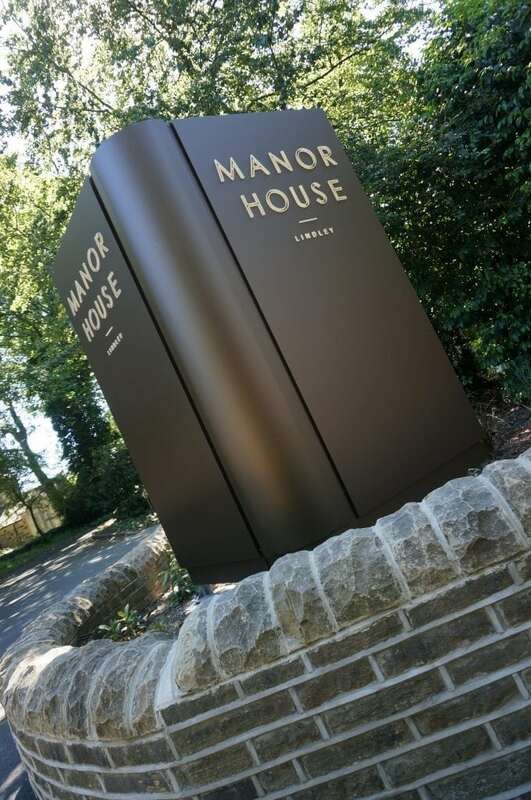 The LED-lit gold leaf lettering will shine brightly at night and is instantly recognisable by day - the exact result you want from a a monolith sign. For your signage needs – large or small – give Hartbrights a call on 0161 998 7092 today.